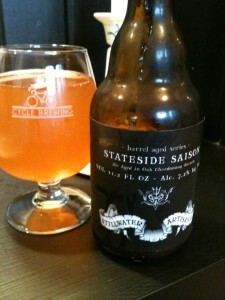 The original Stillwater Artisanal Stateside Saison is one of the funkiest saisons I have ever had, when I saw this bottle I was curious to taste the differences. 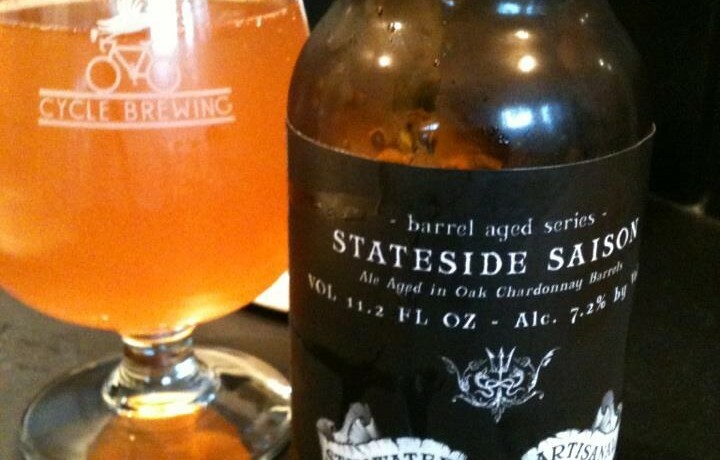 Turns out the Chardonnay barrel aging has mellowed out this super funky saison quite a bit. Notes of pear, green apple, white grapes and oak. The effects of the Chardonnay barrel aging is most evident on the finish with a dry wine like finish. There is a very nice and light sourness that develops as it warms, this is a delicious beer. At the time I thought I was kind of crazy to drop as much as I did on this 12 oz bottle (and you should have heard the conversation the ladies at Greens had about it when I was checking out! ), but I think I made a good choice.